We're heading to Athens, GA! 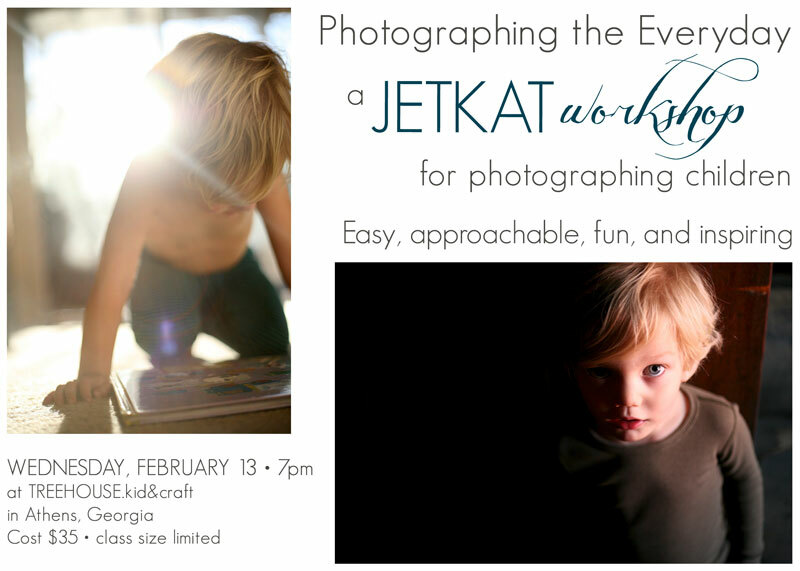 And while we're there, I'll be leading a workshop at my favorite store, TREEHOUSE.kid&craft on Wednesday, February 13 at 7pm. Spend the evening with me and you’ll learn how to take your camera off the automatic setting. We’ll cover lighting, composition, and getting those photos off your camera. You'll get in-depth look at digital photography so that you can begin taking photos you're excited to share! When we’re done, you’ll leave with a new understanding of your digital camera and will have the skills and confidence to start taking true creative control over your photographs. You’ll benefit from a small workshop class size and an experienced teacher. I’ve been a professional photographer for almost 20 years and I’ve been teaching photography to kids and adults for over 10 years. To register or for more information, click here, or on the image below. Can't wait to see you in Athens!